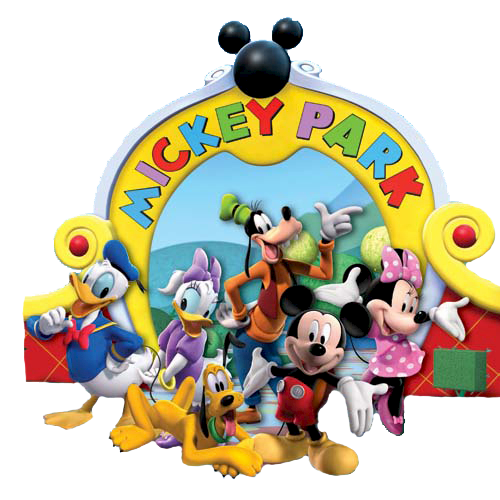 Your child can now be part of Mickey Mouse’s Clubhouse! Our Mickey Mouse Clubhouse Bounce House is an eye-catching bounce house and how can it not? This brightly colored bounce house has two trademarked Mickey ears on each side and features Mickey Mouse, Minnie, Donald Duck, Pluto, and Goofy. Our licensed Walt Disney Mickey Mouse Clubhouse Bounce House will have every child’s dream come true when they arrive at a party and see this bounce house waiting for them to get in and start jumping with joy. A perfect addition to a girl’s birthday, boy’s birthday, school fair, church fair, or to draw attention at a new business opening. Whatever the occasion, one thing is for sure our Mickey Mouse Clubhouse Bounce House will bring nothing but happiness. *Want more than just a bouncer? Click here to Check out our NEW MICKEY MOUSE 5-n-1 Combo!